A leading global Services Company in the Oil and Gas industry seeks an Account Manager to sell oilfield software solutions and related services to clients in the UK and Ireland. You will take responsibility for identifying and developing relationships with key stakeholders across your accounts and expanding the Company’s business opportunities. Applicants are invited with a geoscience or engineering degree and/or some oil and gas industry experience, combined with a key interest in technology and its deployment across organisations. The Company will consider candidates with little to no sales experience but who have the desire and ambition to succeed in the business digital world. Travel mainly London based and some to Ireland. Good scope to realise high commissions. Supported by global offices, the Company is a leading provider of integrated software solutions, covering the entire upstream oil cycle – from finding hydrocarbons to evaluating the prospects, building the wells, and managing and optimising the production process. Their consulting services integrate expertise and processes with their advanced technologies to optimise real-time workflows and provide robust information management solutions. The deployment of technologies across all sectors of the upstream industry has been highly evident in recent years - from greater optimisation in the field, real-time centres, predictive maintenance, cloud solutions, big data analytics, transaction based software and much more. The oil operators and service industry have embraced this new digital age and have realised dramatic efficiencies and reduced operating costs. In a world of uncertainty and the need to remain highly competitive, the drive for continued digital transformation continues to strengthen. The Company has been at the forefront of leading technology advancements for nearly three decades, enabling the upstream oil and gas industry to turn critical information into useful knowledge. With the deployment of their main point technologies to Cloud based solutions, they are one of the few Companies to provide clients with an online environment for optimizing their exploration and appraisal lifecycle across global teams. Become knowledgeable in the Company’s technologies and services. Understand the challenges and drivers within the market and how the Company’s digital solutions can help address these. Build good working relationships with your peers and across the wider company matrix organization. Take responsibility for managing your accounts and developing revenue for software and software related services. Your remit will be assigned accounts and new clients. For a more junior account manager, the Company will assign a few clients initially and mentor and support you enabling you to take on a wider client portfolio. Be proactive in understanding client challenges and objectives for growth – work to develop a “sales proposition” that incorporates solutions to meet these needs. Work with global account managers where a global or regional solution is required. Secure revenue targets against an assigned quota. Ensure profitability. Monitor your sales pipeline closely - Provide accurate forecasting of business including a Commit, Upside and Pipeline of deals and opportunities. Develop a holistic strategic account plan that is focused on expanding business opportunities for your geographical area. Work closely with the Company’s Technical Sales Team and solution experts to assist you at client meetings and presentations. Work closely with Sales and Business Development Teams where the clients’ requirements have a wider geographical remit. Promote sales methodologies, policies and good practices. Be proactive in raising the awareness and reputation of the Company’s solution. As required, attend roadshows, exhibitions, conferences etc. Keep abreast of new oilfield technologies and digital solutions in the market – become competent discussing these with clients with the ability and confidence to highlight advantages of the Company’s solutions. This is a very exciting role for an individual with a passion for technology – how it is developed and deployed to improve efficiencies for enterprise wide organisations. The Company seeks a dynamic, entrepreneurial individual who wishes to develop their business career – you will be mentored and supported to achieve your full potential. Career progression also includes the potential to work overseas across other business sectors of this large group. The role has the scope to realise high level sales across the UK and Ireland and in return, high commissions for you. Bachelor's degree essential. Preferably in an earth science or engineering related subject. High interest in technology and its deployment within the upstream oil and gas industry essential. The technical aptitude to grasp quickly the challenges and rewards of leading edge technologies and the ability to engage, champion and influence sales. Previous experience in sales/business development preferred but the key focus is the desire and ability to sell digital solutions. Consultative sales experience with the ability to devise complex, high capital winning proposals highly desired. However, training provided. Ability to identify and engage with key players across many sectors of your client base (e.g. geoscience, engineering, drilling, commercial, IT, legal, financial) and to build and maintain strong working relations essential. Highly strategic – the ability to see the big picture – to address the challenges of the organisation across the different sectors is key. Ability to devise and implement sales strategies effectively to reach and exceed targets desired. Ability to monitor, manage and communicate strategic sales plans to managers. Can work effectively with regional technical sales to promote and maximise Company revenues. Can work effectively with the consulting group to co-ordinate technical support as required for meetings. An assertive individual with the personality and confidence to build strong relationships and engage with senior level personnel in oil companies. Excellent presentation and communication skills – must have the confidence to engage at senior level executive levels. Influential and experienced negotiator and decision maker. Entrepreneurial approach – can leverage existing strengths and react and lead in dynamic market conditions. Highly methodical - ability to multi-task, prioritise, with attention to detail but constantly paying attention to the bigger picture. Ability to perform under pressure and to deliver results. Ambitious with a keen drive to exceed expectations and develop ones career. Can travel as required within the UK and Ireland. It is estimated that most UK travel will be London based and infrequent travel to Aberdeen as another Account Manger manages Aberdeen. Package: Based on skills and experience, an attractive Base Salary plus a Commission Plan will be offered, with the potential of a high financial package. In addition, Bonus, Company Benefits provided. Other: The Company has an equal opportunity policy and a strong supporter of gender diversity. They welcome both male and female applicants for this role. 1) Go to the Web Site www.working-smart.co.uk, Select ‘Oil and Renewable Energy Jobs” and “Review Job” and “Apply”. If not registered, please do so. Make sure you upload your CV and submit a Cover Letter. 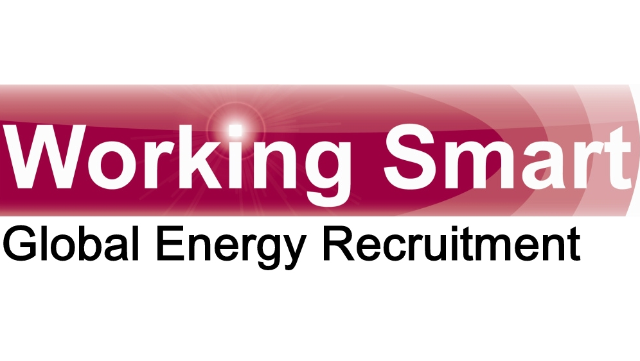 2) Email info@working-smart.co.uk with the job title/reference and enclose your CV and Cover Note. Our preference is for the above process as this email may take longer for review. Please review your registration and ensure it is current. Please make sure you upload your CV and submit a Cover Letter.Your Cover Letter in support of your application, should outline a) why you feel you may be particularly suited to this position (i.e. relevant skills/experience and education) b) your availability and c) your salary expectations. WSL owns the copyright on all marketing materials written. If copyright is breached, they will take legal action and a minimum $5000 fee will apply.